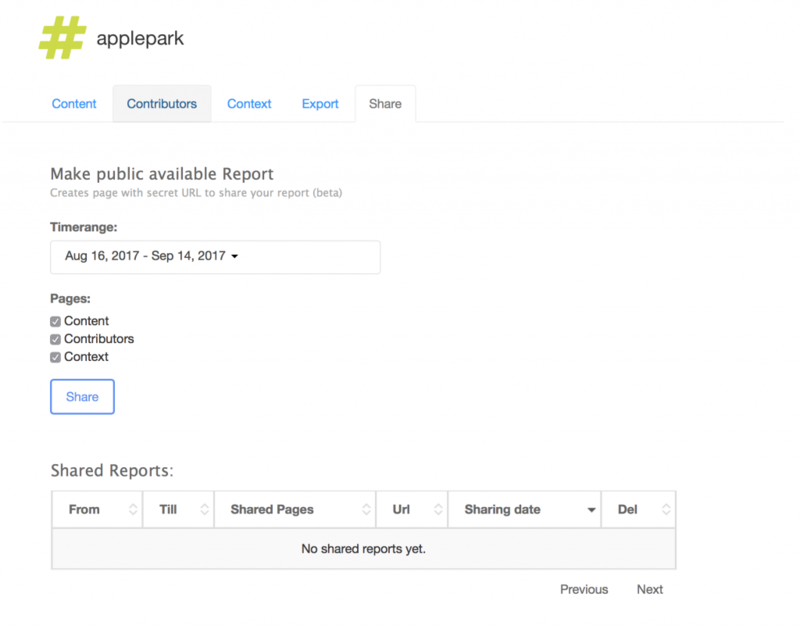 We are happy to introduce shared reports. Starting from today you can share your report, get secret link and send it to your customer or partner. 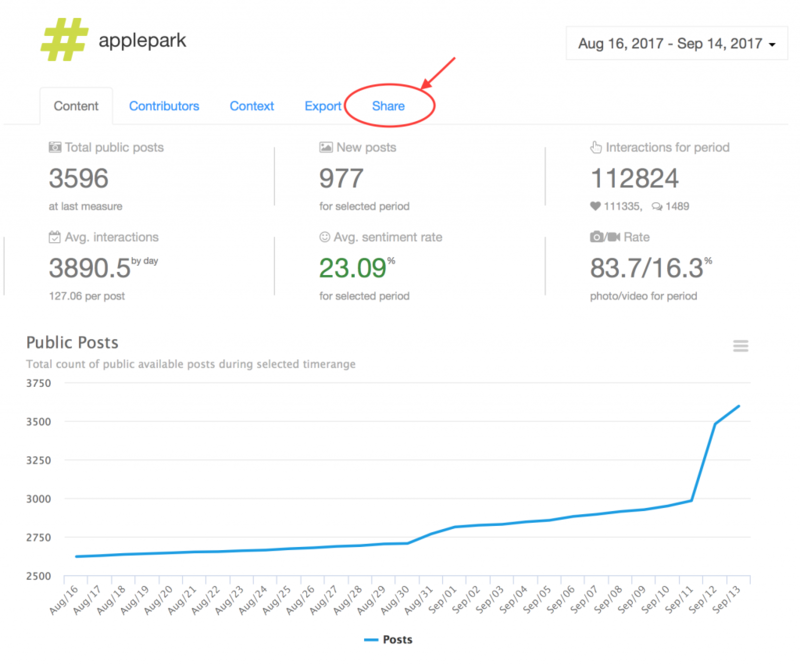 For example you need to share report for hashtag “applepark” to show it growth after Iphone X demonstration. 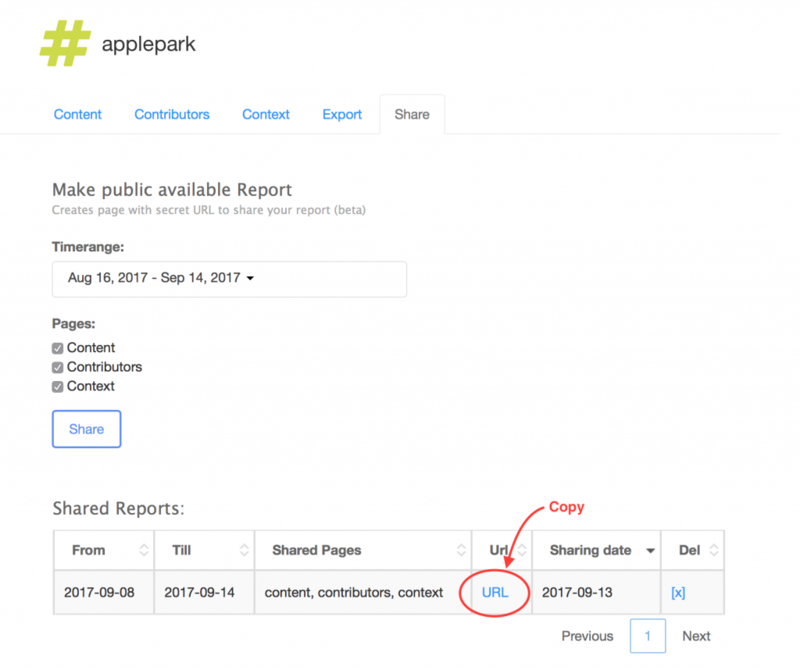 Just open tracked report and click on “Share” tab. You can select time range and pages for your new shared report. After you created shared report it will be displayed in table. Just copy secret URL and send it to your customer or partner. And of course you can create multiple shared report for one hashtag our account.